The fantastic choice of golf resorts and golf courses in Thailand attracts golfers from all over the world and the local golfing market is also booming with more and more Thais taking up the game. Many golfers book their golf holiday in Thailand through Golfsavers because of the great prices and exceptional service and you might wonder whether it’s worth updating your golf equipment during your stay in Thailand. The biggest large golf retailer is Sports World and they have branches all over Thailand although their largest selection of golf equipment can usually be found in the Central Department Stores which can be found in most major golfing destinations. 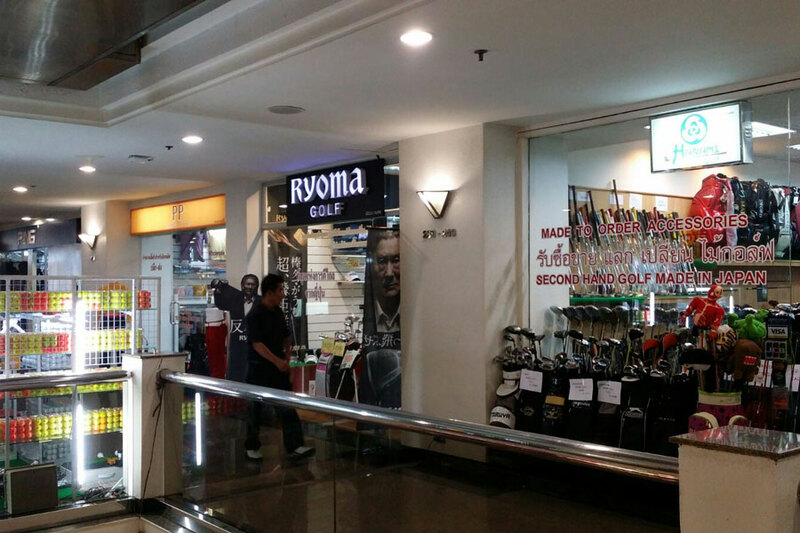 The Paragon Shopping Centre and Emporium on Sukhumvit Road also have a great selection of golf shops and equipment. The price of new equipment is probably similar to the prices in your home country so no real advantage in buying in Thailand and you also have the issue of returns if something goes wrong. If you happen to be in Bangkok when they are having a golf sale, then you may be able to pick up some real bargains and another date to remember is the golf show held in Bangkok in May each year. The show is held in Queen Sirikit Convention Centre and all of the major equipment manufacturers are present and they usually offer very special prices during the show. The “Mecca” for golfers looking to buy that new golf club or just window shop and try out a few clubs is Thaniya Plaza. It’s a large shopping centre close to Silom Road which can also be accessed from Sala Daeng BTS station and it consists of four floors of almost exclusively golf shops catering to every facet of the golfing business. Whatever you need and a lot you don’t need can be found in the numerous shops in Thaniya Plaza. Most shops open at 10am and usually remain open until 8pm. Most of the major golf manufacturers are represented here and you will be able to test the latest clubs as most shops have a mini driving range with a net so that you can hit a few balls. 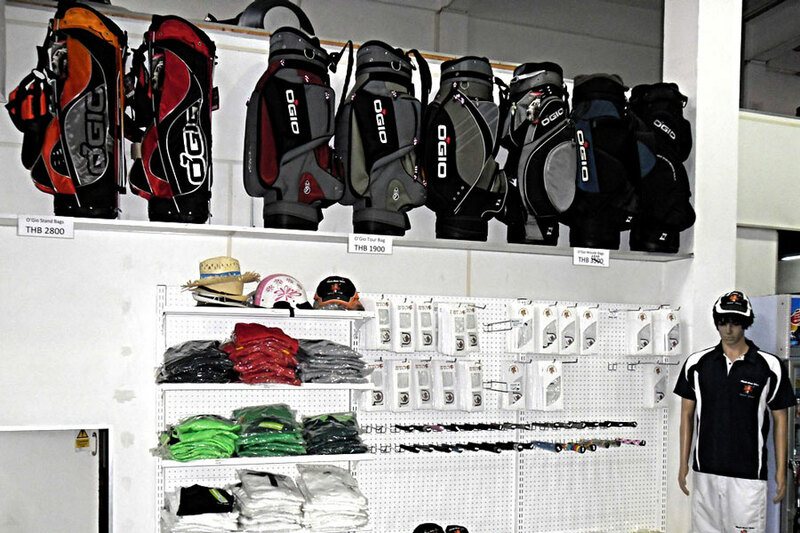 There are several second hand shops and if you do want to change your clubs then you may get one of them to make you an offer which would go a long way to subsidise a new set. It’s also a great place to go if you need to re-grip your clubs or you have broken a club and need a new shaft as there are endless little shops that specialise in new shafts. You will also find lots of small shops and kiosks selling second-hand and reconditioned golf balls which are excellent value and if you need to stock up on golf gloves, tees etc. then this is the best place. You will even find shops selling golf trophies so if you are a bunch of lads on tour and need a trophy to play for then you can get it here. Another thing that is worth buying are tropical golf gloves which are much lighter and cooler than those available back home. Plenty of golf apparel here and remember that it gets very hot and sweaty playing golf in Thailand so if you haven’t got a dry-fit shirt of some kind then pick one or more up here. Even if you have no intention of buying a new set of golf clubs then it’s still fun to wander around Thaniya Plaza to try out the new clubs and there are a few places where you can get a coffee or a cold beer. 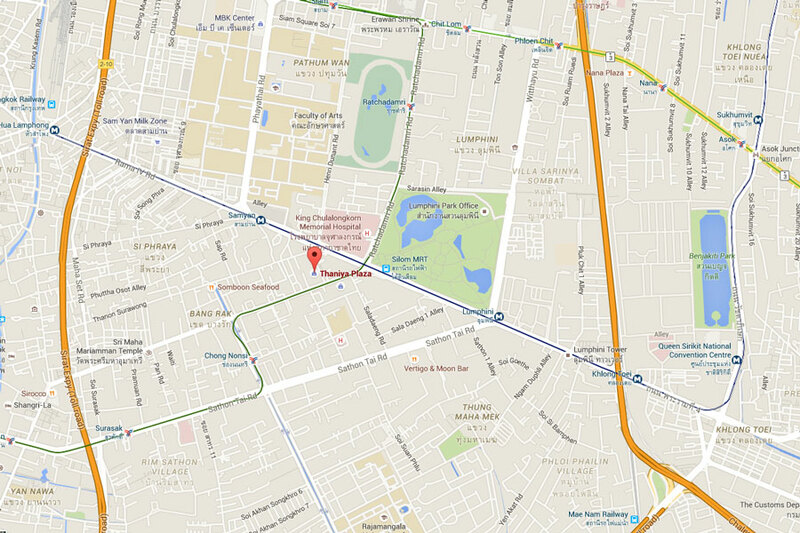 Another bonus is that it’s a few steps from here to Patpong Road with its night market and numerous go-go bars. So if you have booked a golf holiday in Thailand and you are spending some time in Bangkok then Thaniya Plaza is a great place to spend an afternoon.